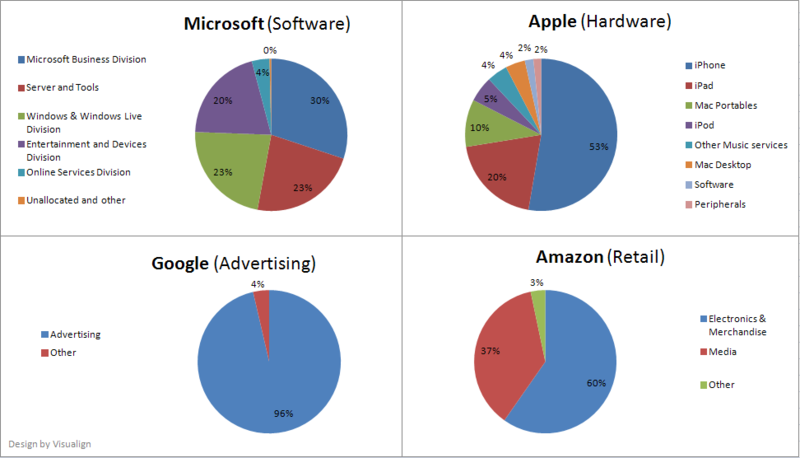 Last quarter we looked at the financials and underlying product & service portfolios of four of the biggest technology companies in the post “Side by Side: Apple, Microsoft, Google, Amazon“. With the recent reporting of results for Q1 2012 it is a good time to revisit this subject. 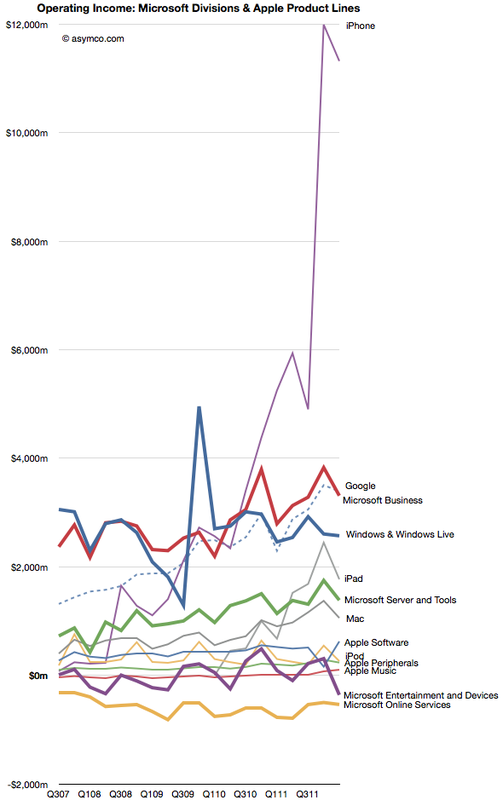 Comparison of Financials Q4 2011 and Q1 2012 for Apple, Microsoft, Google, and Amazon. 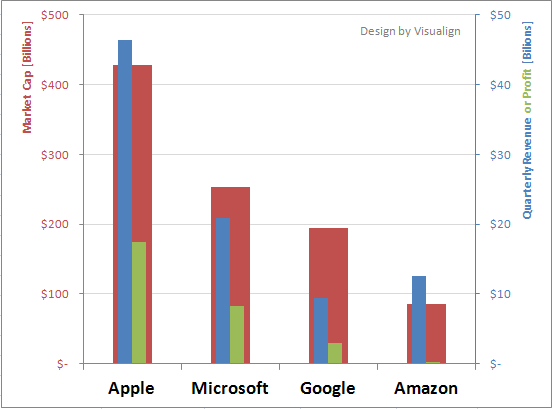 Market cap has grown roughly by 25% for both Apple and Amazon, whereas Microsoft and Google only added 5% or less. A sequential quarter comparison can be misleading due to seasonal changes, which impact different industries and business models in a different way. 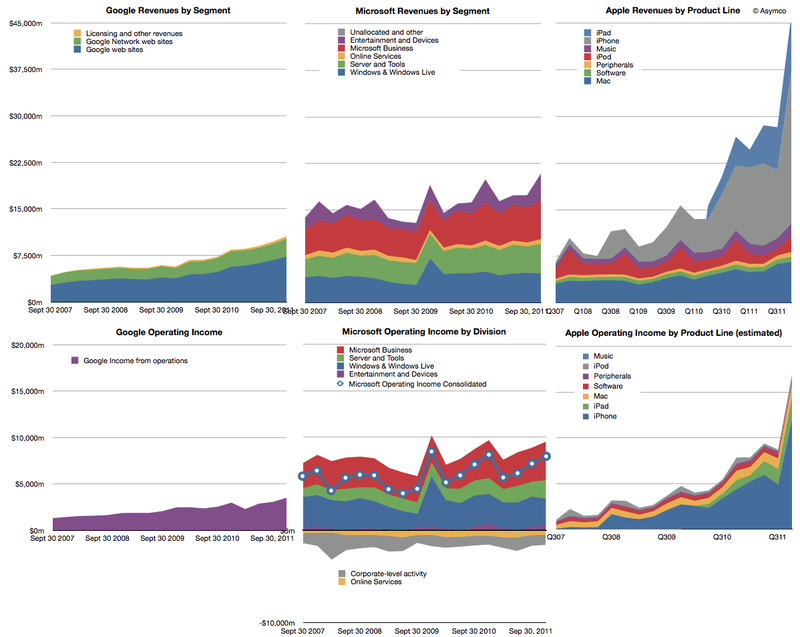 For example, Google’s ad revenue is somewhat less impacted by seasonal shopping than the other companies. Horace Dediu from asymco.com has also revisited this topic in his post “Which is best: hardware, software, or services?“. What’s striking is that all three companies (except Amazon) now have operating margins between 30-40% – very high for such large businesses – with Apple taking the top near 40%. 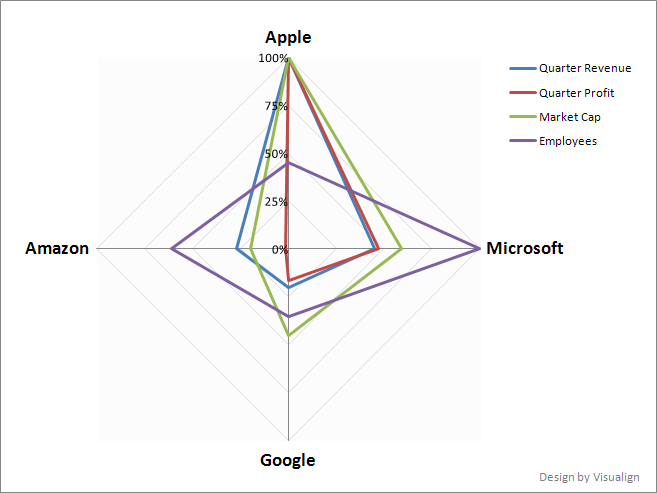 Over the last 5 years, Apple has doubled it’s margin (20% to 40%), whereas Microsoft (35-40%) and Google (30-35%) remained near their levels. Long term the most important aspect of a business is not how big it has become, but how profitable it is. In that regard Amazon is the odd one out. Their operating income last quarter was about 1% of revenue. Amazon needs to move $100 worth of goods to earn $1. They employ 65,000 people and had revenue of $13.2b last quarter, yet only earned $130m during that time! Apple earns more money just with their iPad covers! Amazon’s strategy is to subsidize the initial Kindle Fire sale and hoping to make money on the additional purchases over the lifetime of the product. In light of these numbers, do you think Amazon has a future with it’s Kindle Fire tablet against the iPad?